Help us fund promising research to accelerate treatments and cures. Turn your favorite activity into a fundaraiser. Purchase EAT gear or shop with any of our featured partners. 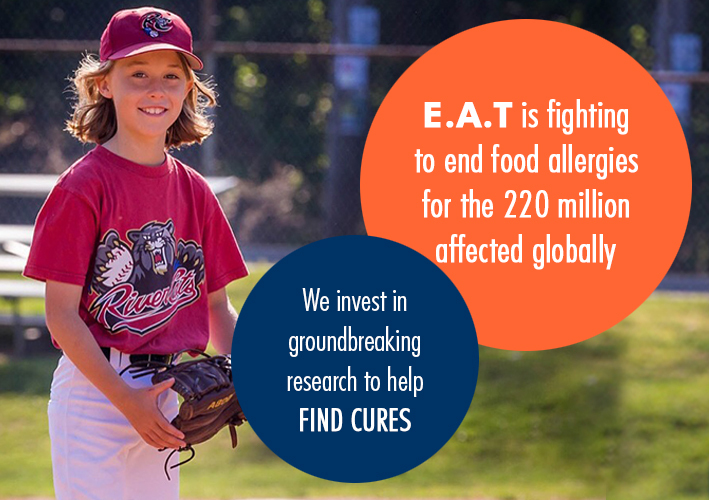 WE FUND PROMISING STUDIES FROM TOP RESEARCH INSTITUTIONS TO ACCELERATE FOOD ALLERGY TREATMENTS AND CURES. LEARN MORE.